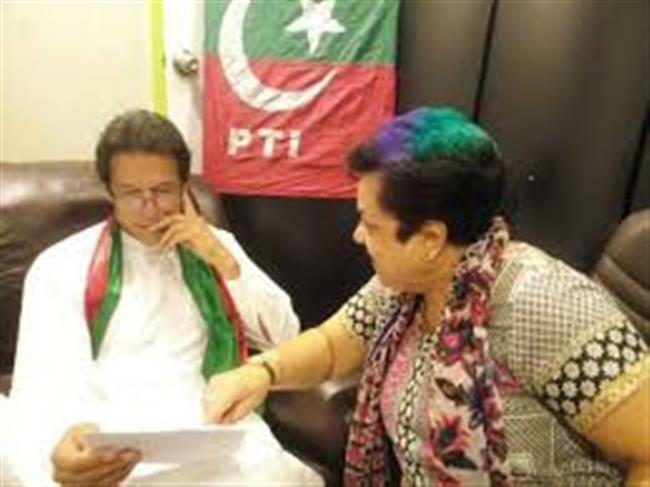 Prime Minister Imran Khan and Human Rights Minister Shireen Mazari. Minister for human rights Shireen Mazari made the revelation during a TV talk show, but she did not share the details of the proposal, which she described as a “model for conflict resolution”. Islamabad: Pakistani Prime Minister Imran Khan’s government is preparing a proposal to resolve the Kashmir issue, a senior minister of the country said, describing the draft as a “model for conflict resolution”. “We will prepare the proposal within a week and circulate it among all the stakeholders,” Mazari told the anchor of the Urdu language news channel 24NewsHD earlier this week. She said the proposal, which is a “model for conflict resolution”, would be presented before the Cabinet and also PM Khan. In his victory speech last month, Khan expressed willingness to improve Pakistan’s ties with India and said that his government would like the leaders of the two sides to resolve all disputes, including the “core issue” of Kashmir, through talks. He had said good India-Pakistan relations will be beneficial for the entire region and suggested increase in trade ties between the two neighbours. “I am a person who arguably knows most people in India because of my days in cricket. We can resolve the poverty crisis in Southeast Asia. The biggest problem is Kashmir,” he had said, suggesting that the two sides should come to the table to resolve it. Pakistan’s former military ruler Parvez Musharraf claims he had proposed a ‘four-point formula’ on Kashmir to then Prime Minister Atal Bihari Vajpayee during the 2001 Agra Summit. The summit did not result in any significant development on the issue.